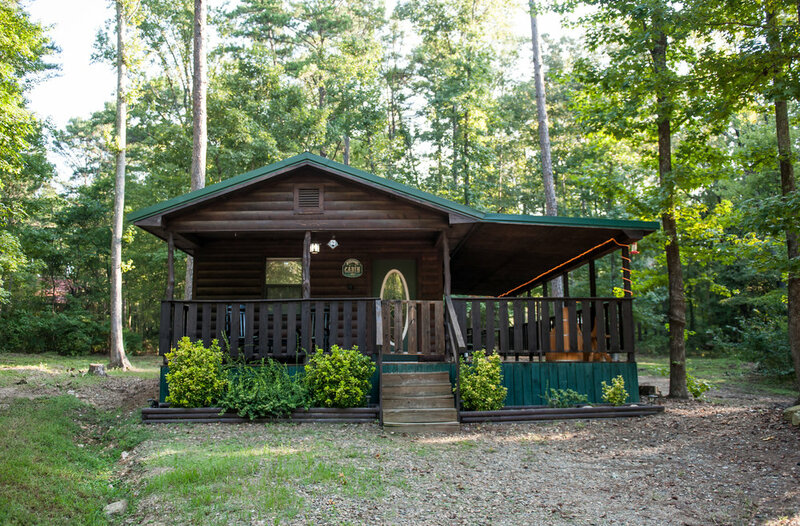 Briar Creek Cabin: 1 bed / 1 bath. Sleeps 4. 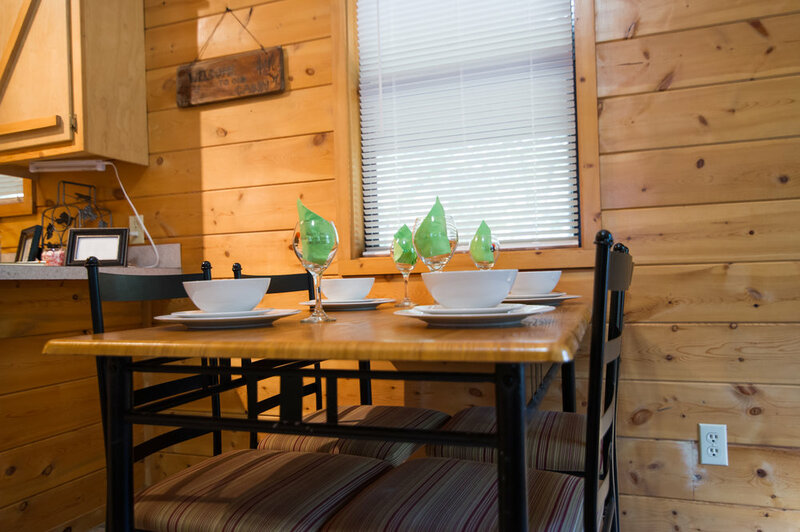 This cabin offers a cozy atmosphere for couples and small families as well as fishermen and sportsmen. 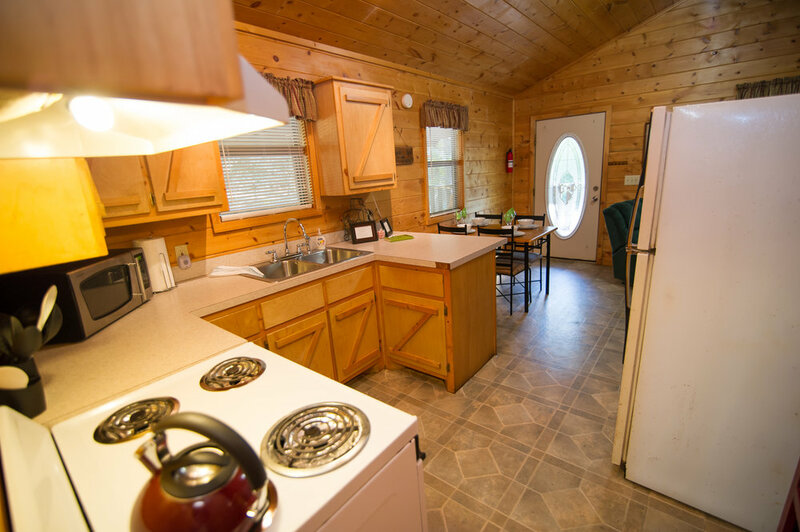 This one bedroom cabin has one queen size bed, full kitchen, one full bath and washer and dryer combo. 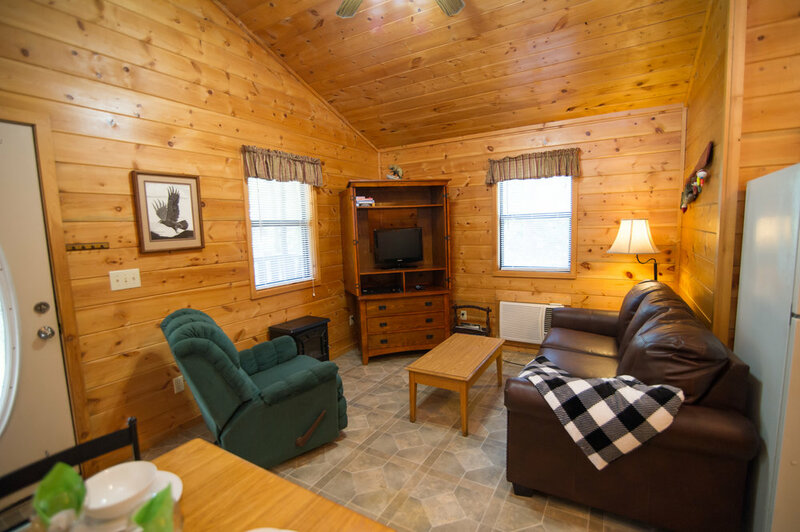 There is a sleeper sofa in the living room (full size) and a rocker/ recliner as well as TV/DVD player with Cable. 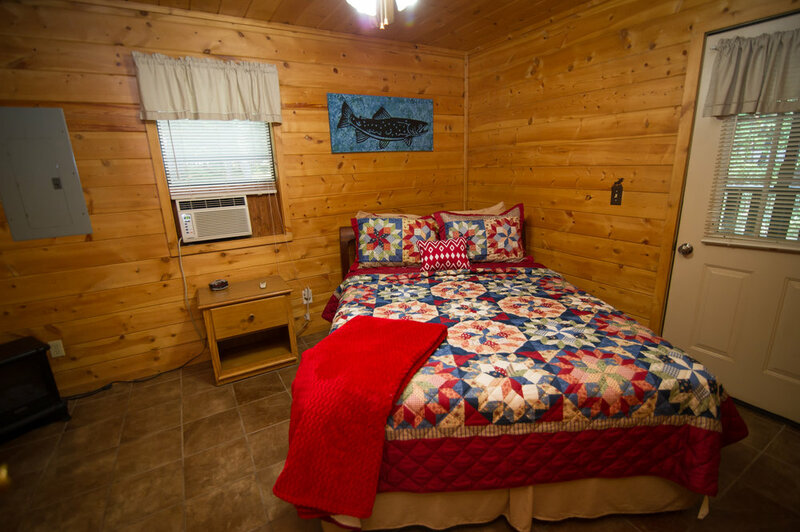 The cabin has heat and air along with ceiling fans. Outdoors there is a large “L” shaped porch with plenty of seating and a table for outdoor dining, propane grill and a large fire pit for the nights recap around the fire.